Most data centers are expected to be able to reduce their physical space by a minimum of 30 percent over the next five years. This is only one of the several emerging trends through 2020 identified in a December 2015 article by Tech Target. Other important trends to look out for in data center monitoring include increased density, security, virtualization and intelligent PDUs (Power Distribution Units), among others. Here's a look at the top five trends experts are looking for in 2016. Data centers in the United States are expected to need six times the electricity used by New York City by 2020. In fact, it is estimated that already these facilities are unable to meet current power demands, given that most of them were established about 20 years ago! What this essentially means for these businesses is huge capital investments. On the other hand, lower density facilities would need to add IT cabinets and their related infrastructure to be able to meet the demands of today. The only way to reduce costs while improving performance is to move to higher density. This would mean that you need only half the amount of space that a lower density center would require because the upgrade will help you support the same equipment with lesser number of cabinets. This in turn will improve efficiencies, including that of power usage. On the whole, you will end up saving on operational and capital expenses. A DCIM system helps you manage your environment better because it allows you an in-depth understanding through various real-time dashboards. In fact, a recent study revealed that data canter managers who had implemented DCIM systems experienced 2.5 times lower downtime than the industry average. A good provider of DCIM systems will help you with asset, capacity, energy, environment, power and change management to optimize data center monitoring and performance. This is because such systems help you manage power and space proactively. Given the pace of technological advancements, especially in the IT domain, anyone who does not keep up is left behind. The only way to ensure that you are able to handle new business with the appropriate tech support is to make sure that you evolve with the times. Flexibility is not only in terms of space but also scalability, power and infrastructure. This is why more and more data centers are looking to make themselves flexible and responsive to changing needs and demands. One cannot overemphasize the need for enhanced security, especially at facilities that serve multiple clients. When physical and network infrastructure is shared across different users, data might be at higher risk. Physical security is crucial, with only authorized personnel being permitted to access the equipment and data. This can only be exemplified with the incident at Target. Although more than two years have passed, the security breach here still plagues the minds of customers. 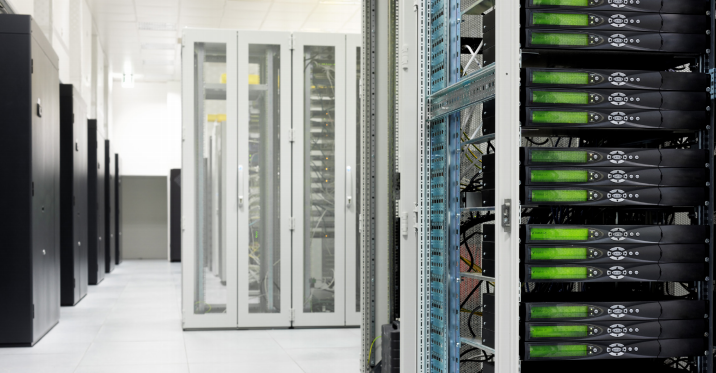 In addition, colocation, while adding to physical security, also ensures regulatory compliance. Power distribution lies at the core of the data center environment. The biggest challenge that managers at such facilities possibly face is supplying the needed power while using the least amount of energy and space, and also sticking to the budget. Therefore, energy efficiency in a highly adaptive IT environment is the need of the hour. Intelligent PDUs offer specific benefits over conventional units, in that they offer a reliable power source, along with real-time monitoring, along with capabilities for remote outlet switching and rack sensor information. Overall, intelligent units allow facility administrators and managers to achieve productivity and efficiency goals.